During my short time on earth, I’ve been told many horrible lies: Santa is real, you’ll get a job after graduating from university, pop music isn’t good, and almond milk is just as good as dairy milk. But out of all of these, the worst lie I’ve ever been told is probably that curly fries aren’t any good. If you’ve been told the same terrible lie, I’m here to reveal the truth. 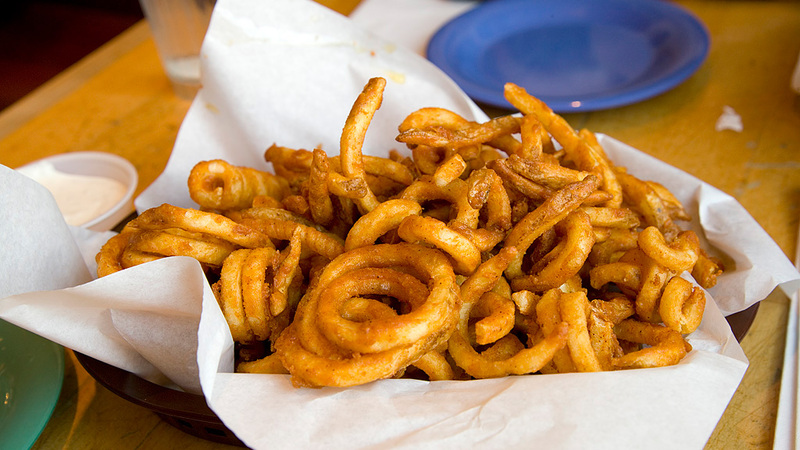 Curly fries are the best possible version of one of the world’s best foods. Fries are already delicious; I mean, you basically take the best “vegetable” (is the potato a vegetable?) and then submerge it in boiling oil until it becomes crunchy and salty and greasy and delicious. Fries come in countless variations. Sweet potato fries, waffle fries, smiley face fries, and regular old fries are all perfectly respectable and scrumptious. But curly fries stand out as by far the superior version. Firstly, curly fries maximize the surface area of the French fry, resulting in the greatest possible amount of crunch. Greater surface area also means more surface area for salt/pepper/ketchup/seasoning or dip of choice. That can only be a good thing. But the best thing about curly fries is that weird, amazing seasoning salt that everyone seems to put on them. No one knows exactly what goes into that special salt. (It’s red? So maybe paprika? I don’t know.) But I think we can all agree that curly fry seasoning is far tastier than plain old salt. Most importantly though, curly fries are the most exciting shape for a fry. They will take you on a journey of childish joy and wonderful adventure that even the smiley face fry cannot measure up to.